The new year 2015 lifts off with dozens of fun happenings, openings and events at Walt Disney World Resort. Whether your Disney Side is brought to life by being a foodie, sports fan, shopper or a Jedi, some great vacation choices await Disney guests as the calendar turns the pages into 2015. As part of a sweeping re-imagining, Disney’s Polynesian Resort has returned to its original, 1971 opening day name: Disney’s Polynesian Village Resort. But that’s not the only news awaiting guests in 2015. Changes include a new food and beverage experience opening for guests in 2015: Trader Sam’s Grog Grotto – opening in the spring and based on the popular themed lounge at the Disneyland Hotel in Anaheim. Trader Sam’s will welcome explorers to a mystical and tropical oasis featuring a lounge area with handcrafted tiki cocktails served in souvenir mugs, paired with Polynesia-inspired small plates. Other changes greeting Disney’s Polynesian Village Resort guests: the recently opened Pineapple Lanai kiosk, featuring the world-famous Dole Whip soft serve and floats, and a menu makeover at Capt. Cook’s quick-service restaurant. A new children’s activity center called Club Disney welcomes guests ages 3-12 to play dress-up, create crafts and engage in games, storytelling or movie nights. A completely renovated Nanea Volcano feature pool area, a new children’s water play area and an enlarged deck for poolside seating will be completed in 2015. In addition, Disney’s Polynesian Villas & Bungalows will feature 20 Disney Vacation Club bungalows on Seven Seas Lagoon and 360 Deluxe Studios. The Disney Vacation Club Bungalows will be the first of this type of accommodation at Disney, sleep up to eight guests, and feature a plunge pool where guests can enjoy views of fireworks over Magic Kingdom and Seven Seas Lagoon. This resort will also be the first to have connecting Deluxe Studios that will sleep up to five guests and have kitchenettes and enhanced storage space for convenience and comfort. 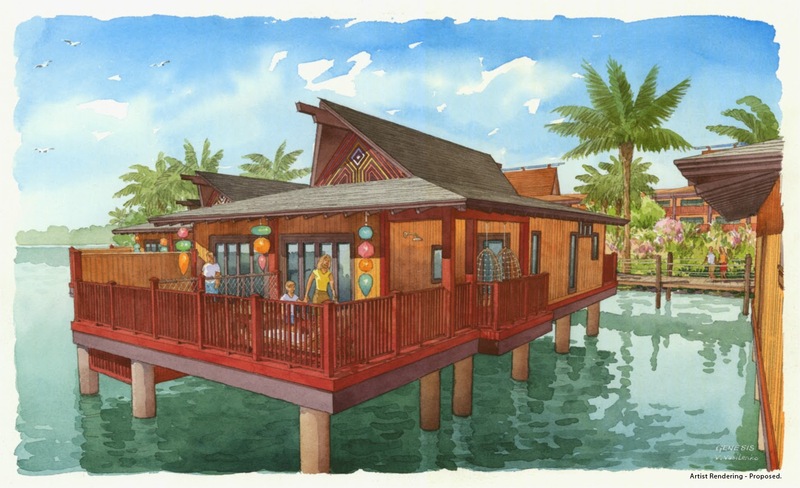 The first phase of Disney’s Polynesian Villas & Bungalows is scheduled to open in 2015. The new year brings a great new dining experience to Walt Disney World Resort with Trattoria al Forno now open at Disney’s Boardwalk Resort. The restaurant features Italian cuisine with authentic ingredients and recipes from Italy’s various regions. The new restaurant showcases Old World techniques, including handcrafted mozzarella made daily, a variety of Neopolitan-style pizzas baked in wood-burning ovens, and other classic favorites such as risotto, baked lasagna, chicken Parmigiana with tagliatelle pasta and more. Trattoria al Forno offers an extensive wine list with more than 60 offerings by the bottle and more than 25 wines by the glass. Desserts such as tiramisu and gelatos round out the menu. 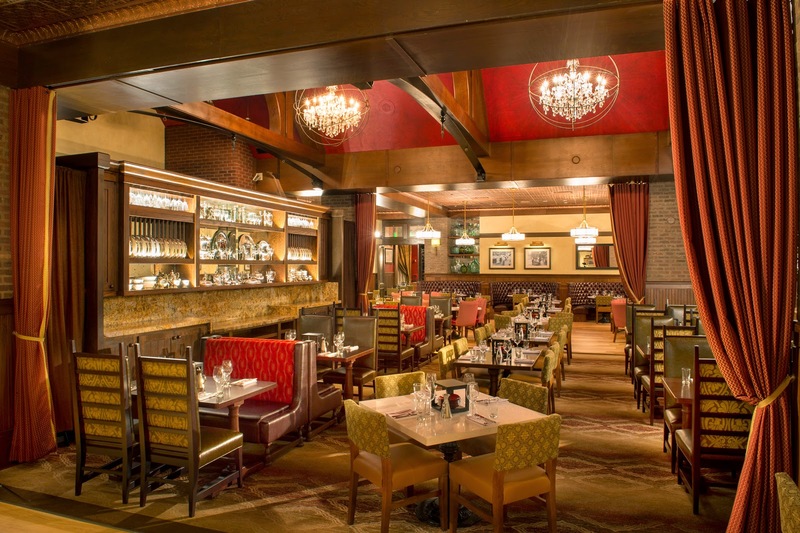 Trattoria al Forno is located on Crescent Lake near Epcot in the heart of property. Imagine the colors, scents, savory tastes and boundless activity of a village marketplace in Africa. 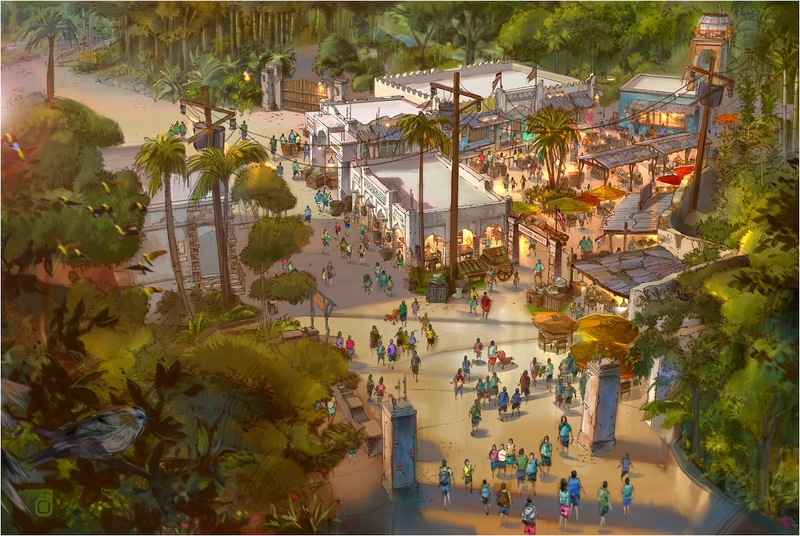 That sensory scene is coming to Disney’s Animal Kingdom with a spring 2015 opening planned for Africa Marketplace – a new shopping and dining option for park-goers in Harambe, the village anchoring the Africa section of the park. One highlight of the new space will be Harambe Marketplace, a new quick-service food and beverage location offering street-inspired dishes from walk-up windows. Guests will find plenty of shady places to relax and eat. For their convenience, the new space also will open up a new pathway from Africa to Bradley Falls and the Asia section of the park. Together with the new Harambe Theatre housing “The Festival of the Lion King,” the addition of Africa Marketplace will double the size of the original Harambe Village. Paired with previously-announced projects throughout the park, Disney’s Animal Kingdom is undergoing the largest expansion in its history. 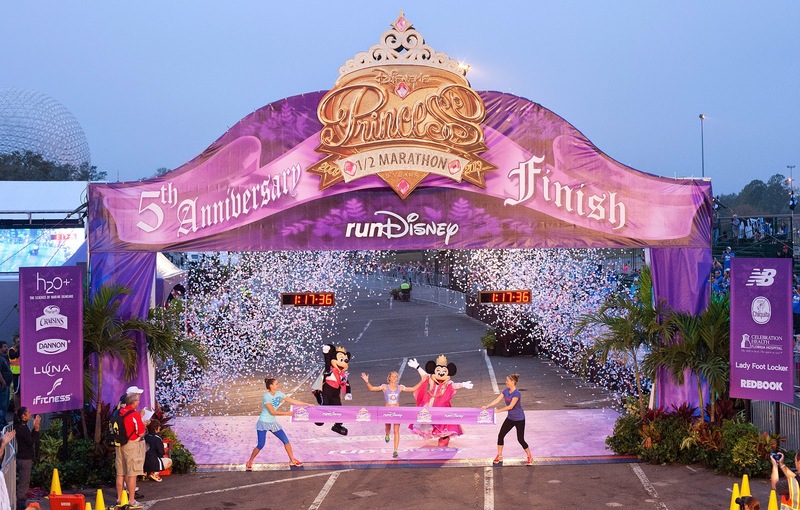 The Disney Princess Half Marathon Weekend presented by Children’s Miracle Network Hospitals, one of the largest women-specific half marathon weekends in the nation, takes place Feb. 19-22, 2015 at Walt Disney World Resort. There are races for all ages and levels, including runDisney Kids Races. For those who think a half marathon is just a walk in the park, runners can participate in the Disney Glass Slipper Challenge, which includes a 19.3-mile adventure over two days – the Disney Enchanted 10K on Saturday followed by the Disney Princess Half Marathon on Sunday. Runners who complete the Princess Half Marathon in February and the Tinker Bell Half Marathon presented by PANDORA Jewelry in May at Disneyland Resort will earn a special pink version of the runDisney Coast to Coast Race Challenge Medal. For an additional challenge and cruise vacation, runners who immediately follow the Princess Half Marathon Weekend race with a Disney cruise departing Monday, Feb. 23, can run the Castaway Cay 5K on Disney’s private island in the Bahamas to earn a specially designed Disney Castaway Cay Challenge Finisher Medal. For more information, guests may visit www.runDisney.com. Disney’s Hollywood Studios welcomes a Starbucks location in Feb. 2015. The new store, The Trolley Car Café, will be themed to a classic trolley car along Hollywood Boulevard and offer a unique experience for coffee lovers visiting the park. Guests to the store also will be able to enjoy Disney baked goods and Starbucks’ La Boulange pastry items at the store. The Trolley Car Café will be the fourth location serving Starbucks products at Walt Disney World Resort. Locations are already open at Magic Kingdom and Epcot, as well as at Downtown Disney. In 2015, Downtown Disney at Walt Disney World Resort continues its multi-year transformation into Disney Springs, a unique and vibrant shopping/dining/entertainment destination to be set amid beautiful open-air promenades, meandering springs and waterfront charm. The Landing is the first phase of Disney Springs and will be home to unique and memorable dining experiences such as STK (opening in 2015), Morimoto Asia (opening summer 2015) and The BOATHOUSE (opening spring 2015), plus a number of still-to-be-announced innovative restaurants and boutique shops. Anchored by a signature water tower and grand entry, Disney Springs will boast four interconnected outdoor neighborhoods and will be home to everything from shopping boutiques to flagship stores to great new restaurants and entertainment venues. With a planned completion in 2016, Disney Springs expects to double the number of venues to more than 150. The Atlanta Braves are back at ESPN Wide World of Sports for spring training and will take on some of baseball’s marquee teams. The Braves’ 18-game schedule includes showdowns with the St. Louis Cardinals, New York Yankees, Philadelphia Phillies, New York Mets and Detroit Tigers. The 2015 season which runs from early March to early April will mark the 18th consecutive year the Braves have held their spring training at ESPN Wide World of Sports Complex. Guests will be treated to unique game-day entertainment and additional fan experiences, including character appearances and an exclusive on-field spectator experience. Information on the Braves’ Spring Training season, group tickets and mini-packs is available by calling (407) 939-GAME (4263) and online at espnwwos.com/atlantabraves. As the Braves’ spring training schedule is released, individual game tickets are available through Ticketmaster by calling (800) 745-3000 or visiting ticketmaster.com, as well as at the sports complex box office. 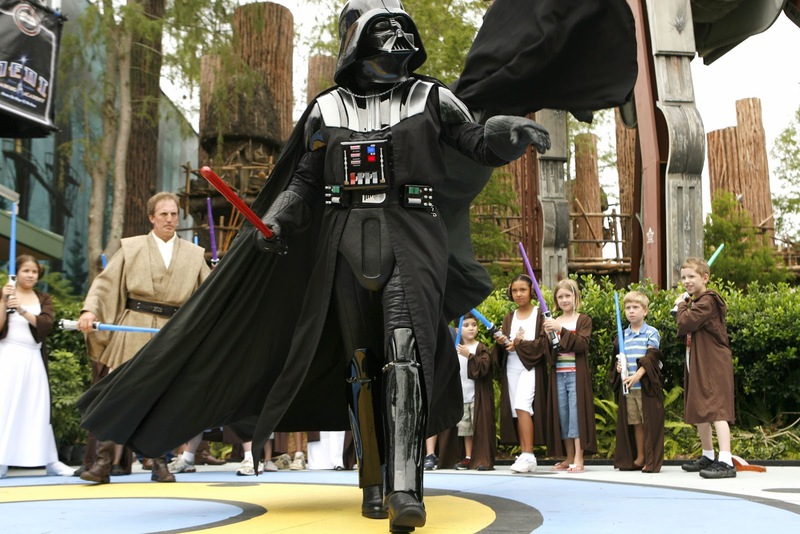 For more information visit disneyworld.com/starwars.